SourceTrace Systems offers information and communication technology (ICT) based wide range of solutions to manage agricultural challenges at the ground level. A for-profit social enterprise specializes in developing mobile software applications that alert on natural calamities, assist in production, bring transparency in agricultural supply chains, remove the inequality that prevails in the systems and guarantee satisfactory income to the small and marginal farmers. Headquartered at Massachusetts, USA, company is actively operating in 21 countries across three continents namely Asia, Africa and Latin America impacting life of more than 500 thousand farmers. Backed by leading social venture capital firms such as Gray Ghost Ventures, Soros Economic Development Fund (SEDF), Serious Change LP and Bambili Group, company provides enterprise-class mobile transaction solutions in remote areas to industries working in critical sectors of developing economies with a focus on agriculture. It is charged with the mission to transform the global agriculture value chain enabling developing countries grass-roots resources to participate in the global supply chain and shown the impact it can have. SourceTrace Systems provides solutions for agriculture, aquaculture, plantation, forestry and traceability. All the solutions provide complete visibility from field to market and track the value chain at the source even if it is located in remote or low bandwidth area. The real time information is proffered in most user-friendly way as the aim is to increase operational efficiencies and reduce costs. SourceTrace ESE™ Agri solution: It is suitable for market and business processes. It tracks the flow of goods from the source to the central processing facilities irrespective of the location being in remote areas. Data is collected on mobile devices, processed immediately and given to the clients enabling them to respond to the market at the earliest. Benefits of this solution are global visibility of operations and supply chain, greater transparency, ensure source traceability, near real-time business intelligence, reduced operational costs, increased internal controls, better resource management and increased capacity to grow. SourceTrace ESE™ Aqua solution: It is tailored solution for the aquaculture industry. It proffers detailed visibility of aquaculture value chain and operation from pond to market. Apart from the transparency and e-traceability in aquaculture operations and supply chain, this solution provides better resource management and pond health monitoring systems. It is highly Scalable from hundred to thousand of ponds. Real-time business intelligence, reduced operational costs and internal controls systems for enhanced quality control are other benefits of this solution. SourceTrace ESE™ Agri Farm Traceability Software (FTS): Farmers deserves the recognition for the hard work they invest to produce the food and consumers should be able to trace the farmer and field where the food they are eating is grown. 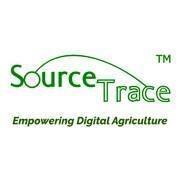 Therefore to give the farmers their due recognition SourceTrace has developed QR Code solution. It is the latest solution developed by the company. It helps to track the produce from the field to the consumer. Even without the use of internet customer can able to locate the farmer and his field before buying the produce. This system helps generating a trust factor among the consumers and also inculcates transparency in the supply chain of the produce. The organization using SourceTrace solution provides complete information about the source of the produce, thereby ensuring the transparency in the system. SourceTrace ESE™ Plantation solution: It is the tailor made mobile appliaction for estate owners having tea, coffee, rubber, palm oil and other similar crop plantation. 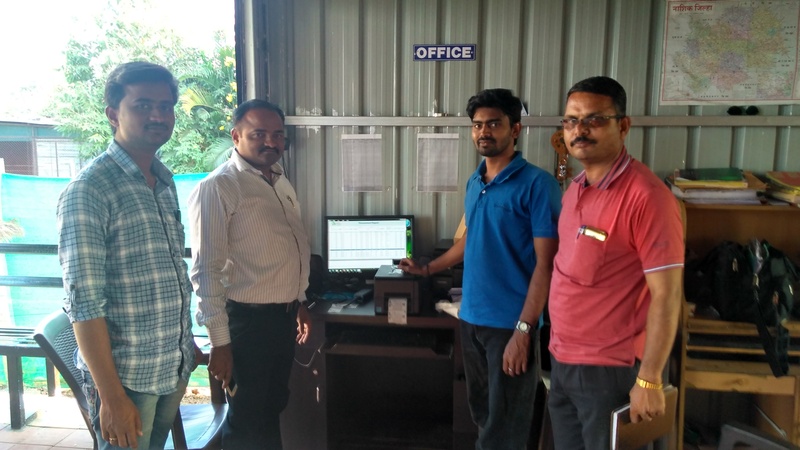 The solution designed ensures effective monitoring of fruit weight, bunch size, and other attributes of the plant as well as effectual management of pest and disease. It is done by mapping the entire crop area. It proffers best possible resource management. 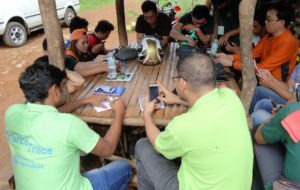 SourceTrace ESE™ Forestry solution: It is a mobile data management solutions to map and manage forestry activities and provide complete visibility of operation on real time basis. It captures research experiment data and tracks the movement of mobile users. It is efficient in controlling thefts and other illegal activities in the forest. With these solutions definitely operational efficiency in agriculture and its allied sectors will be improved and slowly all the loop holes in the system will be resolved. Founded in the year 2006 SourceTrace System has evolved largely by consistently utilizing the digital and mobile technology in the finest way to make the solutions user-friendly and proficient under the leadership of Dr. Venkat Maroju. 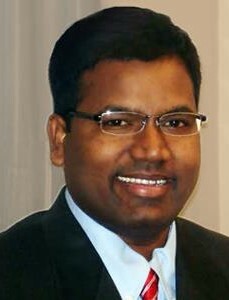 Dr. Venkat Maroju became part of the organization in 2012 as CEO. He holds an MBA from MIT Sloan School of Management, Ph.D. in Engineering from Old Dominion University, Norfolk, Virginia, Masters in Engineering from Indian Institute of Science. He has extensive grassroots-level experience with social enterprises such as microfinance institutions, farmers’ cooperatives, sustainable agriculture, rural supply chain and renewable energy. Being from remote area of Telangana, he is well aware of the hardships of a farmer therefore using the technology has made the agriculture value chain sustainable, transparent and equitable – thus empowering hundreds of thousands of smallholder farmers in developing countries. In addition he has enabled SourceTrace System to attain a unique recognition in the global market by keeping the focus exclusively on agriculture and its allied sectors. 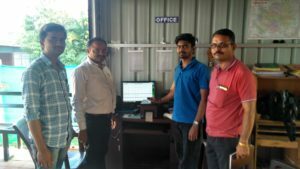 How SourceTrace Systems is bringing the change in agriculture? In agriculture small and marginal farmers play a vital role as they are the ones producing food for the masses thus we refer them as ‘First Mile’. They produce 70% of the food consumed by the world’s population! Even being the facilitators of survival of mankind this first mile of agriculture suffers the most. Their life conditions should be improved and it can be done by providing them with the informative guidance on various aspects such as production, harvesting, value addition, marketing and so on. There are more than 500 million farmers in the world who need immediate help. To reach all of them and manage enormous data in agriculture we at SourceTrace Systems use the power of digital technology. We have number of applications to restructure the agricultural value chains in order to provide the fair credit and empower small and marginal farmers. To do so we provide tailored IT based solutions to small co-operatives, farmer producer companies, agribusiness corporate and government agencies working directly with these farmers. Every minute detail about the farmers’ field is documented such as soil health, crop planting, plant growth status, harvesting etc. The collected data is digitized and given to the organizations (our clients) to have a close understanding of the farm condition. These organizations are then able to help farmers in best possible way by using the information provided by our mobile applications. How the farmers are benefitted through the solutions offered by SourceTrace Systems? On the production side we use lot of satellite based data management so that we can advice the farmers on planning their crop production. With such information they can plan the cultivation process and harvest to increase the farm yield. Life of farmer is tough and extremely challenging. First they invest their money for the crop cultivation and post harvest after supplying the produce to the buyers they again have to wait for 6-8 weeks for the payments. With our solutions we reduced this payment cycle to 2 weeks for one our clients who work with farmers. Besides we connect the farmers to the modern world through digital technology. We give them access to sell their produce, equip them with first-hand information on using machinery to increase their farm yield and offer them visibility as an individual. For example our traceability solutions like QR Code are simple yet effective. It assists the organization that is committed towards food safety in the value chain. These traceability solutions also help the farmers to get higher price in the market there by increasing the value of the produce. It enhances the market linkage as buyers from domestic as well as international market can locate the source of the produce. Farmers who are part of this value chain get benefited as they are able to market their produce to international buyers due to the adaptability of SourceTrace Traceability solution through their associate organization. What are the unique features of the products and services offered by SourceTrace Systems? Our solutions can be used for any type of crop production. We can cater to all the variants in horticulture and floriculture. Secondly we work conveniently in 12-13 languages such as Spanish, French, English etc as well as regional languages such as Telugu, Hindi, Tamil etc. In our mobile applications we can support any local language required in very less time thus we find it hassle free to work globally. Thirdly, we are working in extremely remote areas in developing countries where poor connectivity is always a challenge yet we enable smooth operations to our clients because we smartly upload huge data on the server. We ensure their work is not hampered. Lastly all our applications are extremely simple and user friendly even for the field staff. We do not mind working on complex algorithms to create an easy to manage solution in front of the user. We are committed to add value to the core to simplify the agriculture value chains. Profit margins in agriculture first mile are certainly very thin thus we know organizations like farmers cooperative and farmer producers do have the financial constraints. Nonetheless being rooted strongly to the social purpose we want to reach to the small and marginal farmers therefore we our solutions to these organizations at highly subsidized price. At the same time we also work with big agribusiness corporate those have the power to pay well and we have the backing from resourceful foundations globally. In this way we are able to balance out and cater to various segments in the agriculture. We definitely want to empower the first mile of agriculture. For example we are working with a very small cooperative located at Araku Valley near Visakhapatnam, Andhra Pradesh. This cooperative works with only 400 tribal farmers extremely marginal and having land holding less than 2 acre. We have offered our solutions to them because we want to bring the positive change in the lives of these farmers irrespective of all odds. We are accelerating ourselves to reach 10 million farmers worldwide by improving our solutions consistently. We also plan to develop solutions for other segments in agriculture as well such as value additions, warehouse, packaging etc. We also will be enhancing our capabilities to use more satellite imagery, weather based advisory for benefitting the first mile of agriculture. Soon we will be 9 billion people living on the planet earth and as per UN calculations 700 million people are still malnourished. Thereby we have to produce 50% more food than our present production worldwide. To attain this goal the only way is to make small landholders farmers more efficient using the technology. We at SourceTrace Sytems are competent to do this and we will do it!